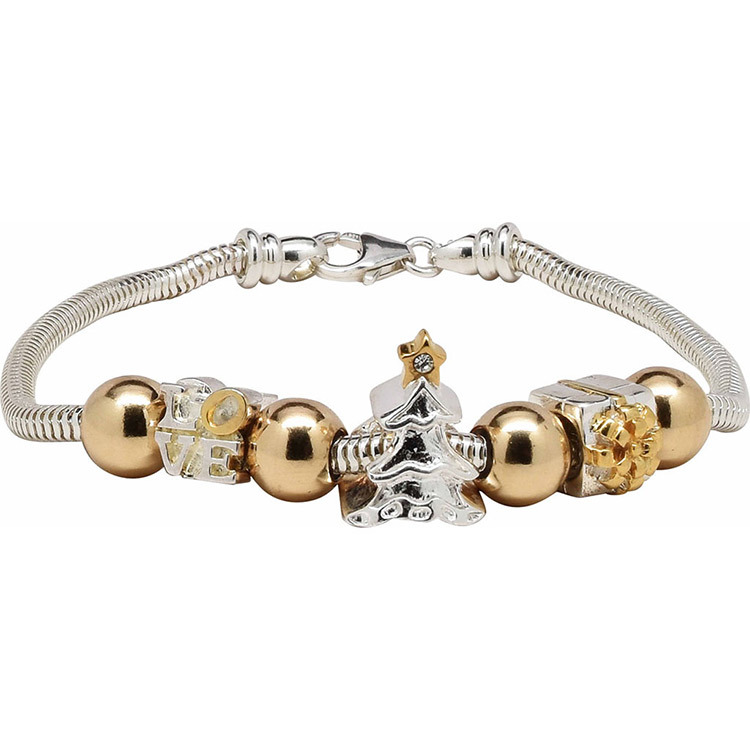 This Sterling Silver European Charm Bracelet will bring smiles to anyone who loves the Christmas tradition. Each of the handpicked Sterling Silver Charms are Christmas moments. The accents are 24kt Gold Foil applied over the Sterling Silver. A single crystal decorates the top of the tree. The length is 7.5 Inches and it features a removable end allowing you to add to the collection. Vermeil stopper beads accent the design. Add our Murano Glass PerlaVita to this collection.